HORIZON ADVENTURES was founded in March 2015 after six years organizing guided off-road motorbike tours. Based in Evora (declared a World Heritage Centre by Unesco) we combine the pleasure of riding outdoors while seeing the unforgettable beauty of Alentejo. The story really started back in 2008. Back then, we were just a small group of friends looking for nice offroad tracks to go from Évora in central Portugal to the Atlantic coast, using a gps for the first time. Over the years the passion evolved and the group of expanded until we found ourselves organizing two 5 day tours per year, each for about 50 riders and totalling about 1000 kms off-road. Our new mission is to share with everyone we can the most beautiful scenery of Portugal’s Alentejo region while riding one of our quality bikes; to show them the best tracks that we have prepared from our years of scouting, and to let them sample the unique traditional Portuguese cuisine (and the famous Alentejo wines) along the way. At the end of each of each riding day our participants will experience our epic sunset and relax in lovely country guest-houses, getting ready for the following day. While the participants are relaxing, we’re already working to make sure the next day just as memorable as the last with our skilled mechanical team giving each bike a thorough going-over to minimize the risk of any issues that might interrupt enjoyment of the tour. What’s the next adventure on your HORIZON ? João has been riding bikes for more than 25 years. Having experienced everything from Sunday rides with friends, to competition in the Portuguese National Championships at the amateur category, he discovered a passion for navigation (first with roadbooks, and later with a GPS). 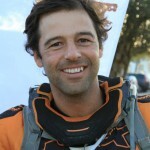 In 2008 he experienced his first GPS based tour, a one week tour in the Morocan Sahara. From that moment on, the dream started to form… there just wasn’t anything on offer like this in Portugal… No one was riding off-road tracks with GPSs. A few months later the first TransAlentejo was a reality, starting as a small event with just some close friends (800 kms in 3 days), and the clear idea to learn and continuously improve the event to meet the highest quality standards. The feedback of the friends he invited (and the friends they invited), one edition after the other showed that the concept was on the right track. With each repetition the tour experience was improved in every detail until finally it has become clear that the tours are ready to be shared with other riders with a passion for off-road. When not organizing biking events, João has been working in multinational companies in Sales and Marketing roles for the last 19 years and brings all this experience to his role at Horizon Adventures. He will be in charge of managing the tour’s portfolio and partnerships; communication with participants including helping with any booking questions; accommodation selection and booking for the tours; choosing the best restaurants each stop has to offer; preparing tracks and recons, selecting timely refueling spots and attractive waypoints to stop and shoot some pictures… and obviously, riding his bike whenever he can. Born in Lisbon and raised in Évora, Pedro and João have known each other for many years since their very first Sunday rides with friends. 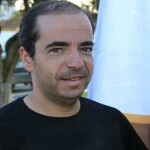 Pedro was still involved in competition when João started organizing his first events, which delayed his involvement until 2011. His shared passion for the bikes and long term friendship with João formed the basis of his of his partnership with Joao, where together they work constantly on improving every detail of each tour or event one event after the other. Pedro is now 100% dedicated to Horizon Adventures, and has taken on the mantle of being the Tour Leader. In this role, he is in charge of all the details while on tour, and is in permanent communication with the support vehicle which shadows the riders. On the bikes, Pedro is always observing the way you ride, and will be happy to share any tips he has in order to improve your riding skills. As you improve he can direct you towards new challenges, pushing you to improve your skills to the next level. By the end of the tour you will feel the difference. Before Horizon Adventures Pedro worked in the forestry industry and his field experience has been very helpful in discovering and linking together the best of the tracks we use on the tours. He can also give you some interesting background information about the cork industry in which Portugal is the main worldwide producer.